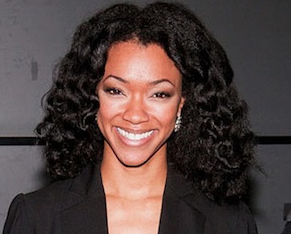 Sonequa Martin-Green has been casted to play a new character on Once Upon a Time. She is expected to appear in multiple episodes during Season 2 and possibly beyond. At this time, there is no word on her character except she is named Tamara. Not long ago, it was rumored that Once Upon a Time was in search for a new cast member who is an African-American woman and has a British accent. According to TVLine, Tamara’s character may continue making appearances into Season 3. However, there has not been an official word that a Season 3 has been signed. With ratings growing strong, we are hoping and expecting to continue this fairy tale drama. Sonequa Martin-Green has appeared in many television shows and movies.